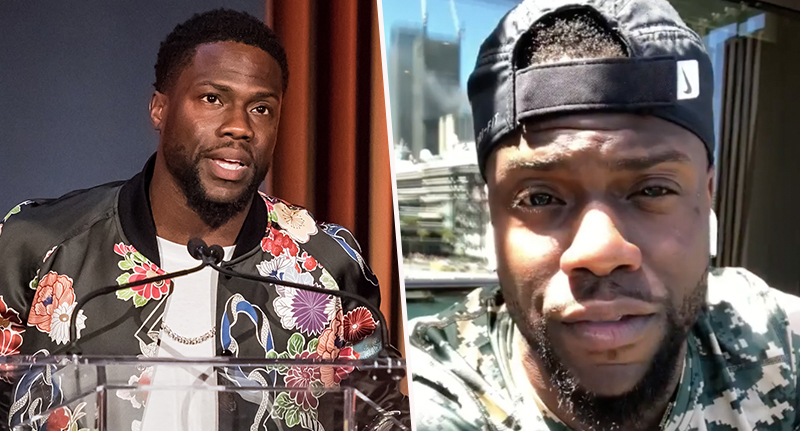 Kevin Hart has stepped down from hosting the 2019 Oscars ceremony as a number of insensitive and homophobic tweets made by the actor have surfaced. Hart was announced as the host on Tuesday, December 4, but has decided to step down after some years-old tweets were flagged by people concerned about the academy’s choice of host. When the 39-year-old was revealed as the host, he said it was ‘the opportunity of a lifetime for me as a comedian’, but has now had to step back from the awards ceremony. In a number of new Instagram videos, Hart has addressed the issue and reiterated his apologies for his old tweets. I just got a call from the Academy and that call basically said, ‘Kevin, apologise for your tweets of old or we’re going to have to move on and find another host.’ I’m talking about the tweets from 2009 and 2010. I chose to pass on the apology. The reason why I passed is because I’ve addressed this several times. This is not the first time this has come up. I’ve addressed it. I’ve spoken on it. I’ve said where the rights and wrongs were. I’ve said who I am now versus who I was then. I’ve done it. I’m not going to continue to go back and tap into the days of old when I’ve moved on and I’m in a completely different place in my life. Hart had previously said hosting the Oscars was ‘a goal on my list for a long time’, according to BBC. However, even before the comedian’s tweets surface, finding a host for the ceremony had already been problematic for the academy, with many people calling it ‘the least wanted job in Hollywood’. The awards ceremony is set to take place in Los Angeles on February 24, 2019.